We just completed our fourth Here and Now retreat and all we can say is: WOW. It’s hard to find the words to accurately convey how it was, what our participants got from it, and how we are feeling in the aftermath. To say the least, it was mind-blowing. We were completely inspired by the courage and authenticity of each participant. We know how much it takes to press the pause button on our lives, to step away from all of our commitments, responsibilities, and habits, and to go to work on ourselves. To do a ‘life audit’ so to speak on where we have been, where we are at, and where we are going. To have the courage to admit where things aren’t working as well as we would like them to and the commitment to make a change in order to ensure that they do in the near future. And above all, to do it NOW. Because let’s face it, it’s easier to continue to complain and blame our circumstances than it is to actually take matters into our own hands and walk the path to our true potential. 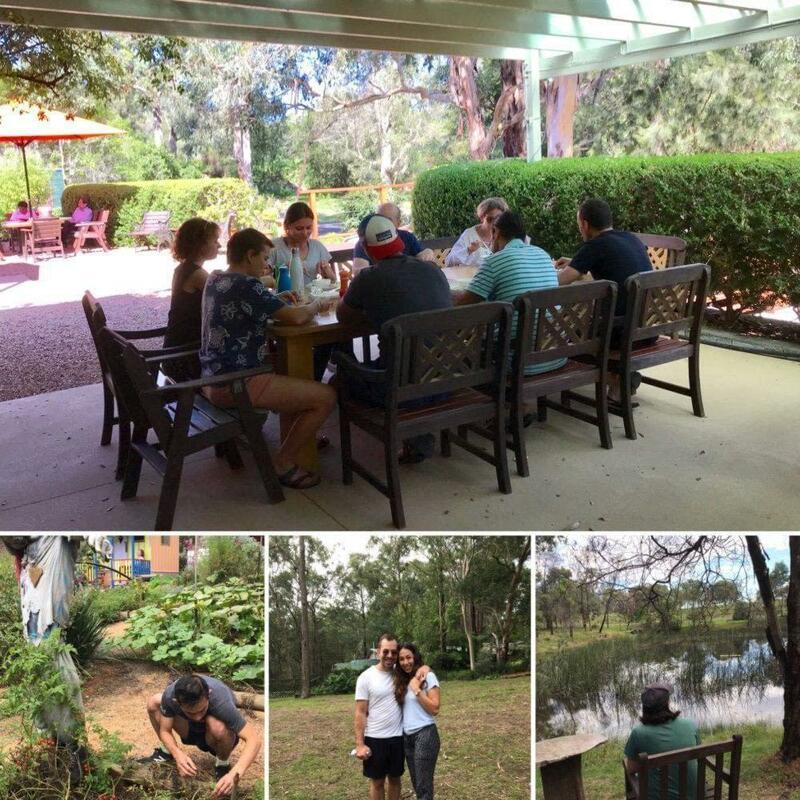 Our retreats are by far the favourite time of our year. To be absolutely engaged in the here and now, immersed in spectacular natural surrounds, completely dedicated to ensuring our guests get what they came for, feeling intrinsically connected to our existential purpose. In fact, one of the themes we explored during our retreat is this idea of ‘existential purpose’. Something that brings an ultimate sense of meaning to our lives. Our own ‘why’ so to speak. It’s like the subtle frequency pulsating behind all that we do. Kevin’s purpose is “to alleviate self-imposed suffering and raise the bar of love and affinity in the world”, and mine is to “empower people to be inspired by their own true greatness and freed up to share it with the world”. 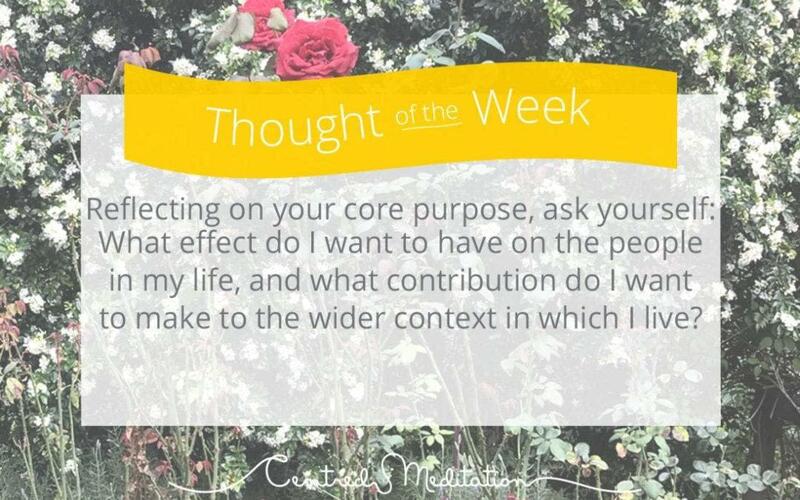 Being aware of our purpose and connected to it on a daily basis can bring a whole new depth of fulfilment and contentment in our own lives. Which is partly the reason why we are feeling so content, clear, and connected right now. How do you find your existential purpose? You start by getting rid of the junk in the way, and then asking yourself: “what effect do I want to have on the people in my life, and what contribution do I want to make to the larger context in which I live and work”? If you are ready to get rid of your junk and get a whole lot more calm and clarity in your life, bookings are now OPEN for our next Here and Now Retreat from the 19th – 22nd September. Book now or put down a deposit to secure a spot and ensure nothing else gets in the way. To sink your teeth into this work sooner, reserve your armchair for our Centred Edge Six Week Peak Performance Program starting 7th May.